Our company Vacker UAE is the best supplier of Desiccant Industrial Dehumidifier for industries in UAE regions such as Abu Dhabi, Ajman, Dubai, Fujairah, Ras al-Khaimah, Sharjah, and Umm al-Quwain. 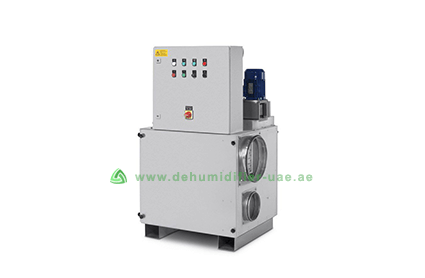 We have been supplying high-quality desiccant Industrial dehumidifier to industries for many years in the UAE region. We also provide our expert advice with relation to the humidity control in industries. Some of the well-reputed organizations in the UAE region have been our client for a long period of time. Mitsubishi, Novartis, Cleveland Clinic Abu Dhabi, Pharmatrade, etc. are some of the organizations that have been our clients for a long time. Industries use large sized dehumidifiers to maintain certain level of humidity in production and storage area. 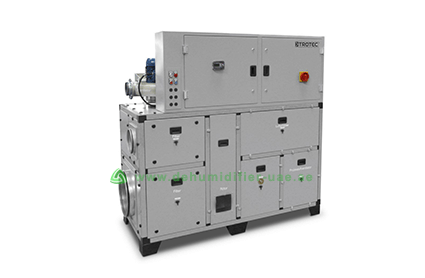 Generally industries use desiccant dehumidifiers for dehumidification purposes. Some industries may be related to the production of goods which are made of iron or any other material prone to rusting. In such industries there is always a danger of goods being damaged due to rusting which is highly probable in high humid areas. Hence it is very important to keep the humidity under control. Also high humidity in the area can be quite sapping physically and mentally. To increase the productivity of the worker also it is very important to install a dehumidifier in the working area. Although the function of condensation dehumidifiers and desiccant dehumidifiers is the same their working principle contrasts of the humidifiers contrast hugely. Unlike condensation dehumidifiers the desiccant dehumidifiers contain a certain type of desiccant material which is capable of absorbing moisture present in the air. The most common type of desiccant material used in the dehumidifiers is silica. The desiccant dehumidifiers are especially more useful in the cold climates. Their capability to remove moisture from a very cold environment has made them very useful in locations having low temperature. 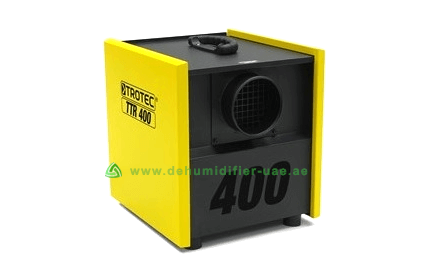 Our company supplies different desiccant dehumidifiers manufactured by Trotec Germany under the TTR series. It comes with the dehumidification capacity of 52.8 kg per day or 2.2 kg per hour. The external compression of the device is 200 Pascal. It can efficiently operate in temperature as low as -15 degree Celsius. The maximum temperature for its optimum performance is 35 degree Celsius. It can perform even in the lowest of humidity level possible as well as highest of humidity level possible. The input voltage required for the device is 230 volt. It operates in the frequency of 50-60HZ. It requires only 16A of fusing. Choosing the right model of dehumidifier is very simple but can be a little bit tricky sometimes. To choose the right kind of dehumidifiers you should be clear about the size of the location as well as the environmental condition of the location. You can then calculate the capacity of dehumidifier required for the location by using dehumidifier capacity calculation excel sheet which can be found in our official website. If you are having problem with that than you don’t need to worry our customer care service is always with you to help you out with any kind of problems related to dehumidifiers.